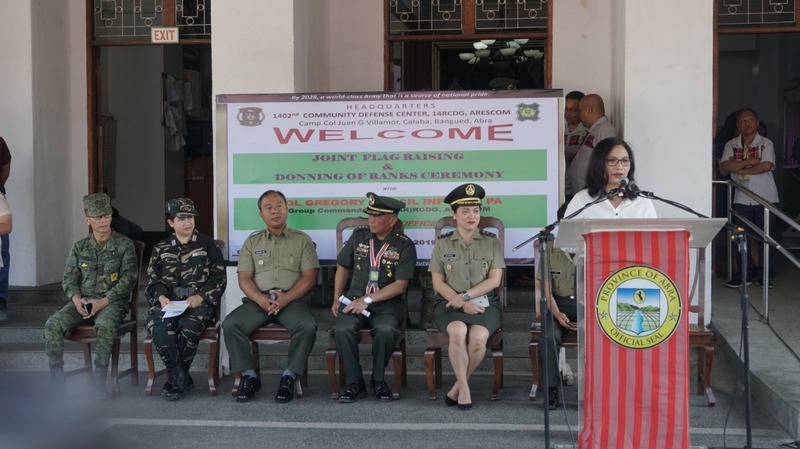 OIC Provincial Agrarian Reform Officer Penelope De Ausen presented some of the Department of Agrarian Reform’s (DAR) programs and services during the first-Monday flag raising ceremony at the Capitol Grounds. De Ausen explained the Comprehensive Agrarian Reform Program where the lead implementing agency is DAR. Its three major programs are land tenure services, agrarian legal assistance, and agrarian beneficiaries development support program. She said that DAR’s services is not limited on land distribution. De Ausen said that they also provide equipment, machineries, sustainable livelihood programs, and other services that will contribute to the improvement of lives of the Agrarian Reform beneficiaries. De Ausen added that the department’s free services are rendered under the Agrarian Reform Beneficiaries Organization. For more information and inquiries, De Ausen encouraged Abreños visit their office located at the third floor of Rosario Building, Diocesan Complex, Bangued.